David Ord Kerr has a background in zoology, botany and painting. Early in his career he accompanied the Wallace Expedition to the Amazon, producing drawings for the British Museum. On his return to the UK he trained at the Royal Academy, winning prizes for anatomy drawing and landscape paintings. He has made numerous research trips; these have included a return to the Amazon, as well as to the Kalahari Desert and the Middle East. 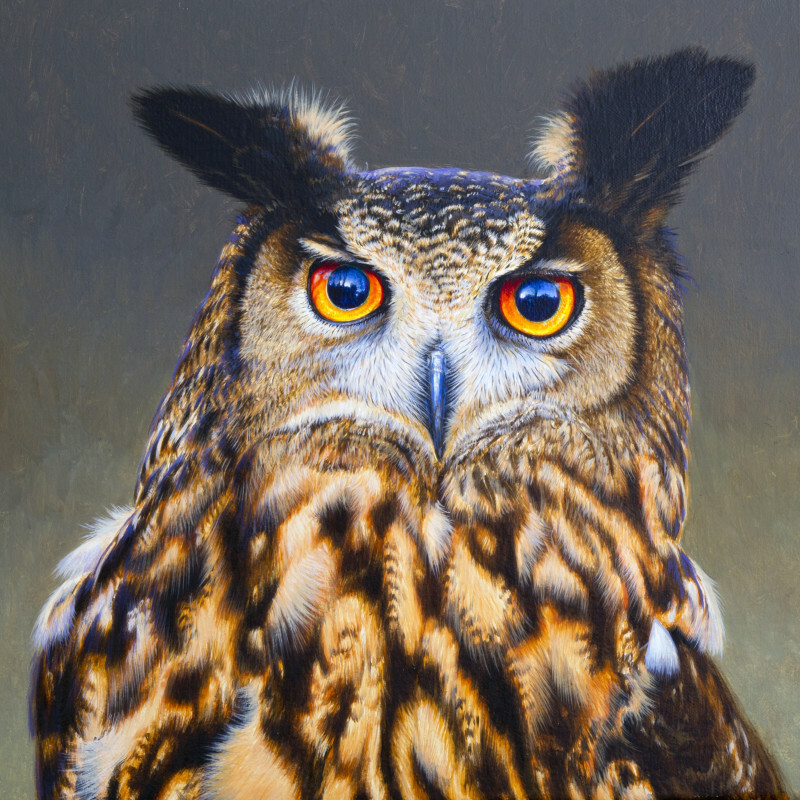 He has been involved in conservation, with commissions from the World Wildlife Fund and the sustainable wood fibre company Sappi (he produced twelve paintings for their 1990 'Kingfishers and Bee Eaters of South Africa' project). In 2017, David was elected as a Fellow of The Linnean Society, following drawings he made for the Natural History Museum. Based in Norfolk, Kerr is a founder member of the Norfolk Guild of Norwich Painters and has worked with the Norfolk Naturalists' Trust. He has illustrated three field guides on the birds of North America and has exhibited in both the United States and South Africa. David has been exhibiting with the Tryon since the 1980s and this exhibition celebrates twenty-five years since his first solo show with the gallery. Aves Exoticae explores his long fascination with ornithology, combining highly detailed observation with glowing, jewel-like vibrancy. The result is a unique kind of realism that often seems paradoxically dreamlike in its vividness.